Does Platinum Emperion prevent commander damage? 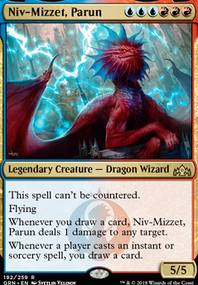 Oh also I was playing last weekend and a Squall Line for 45 mana with a Platinum Emperion out was a great wincon, I'd consider it! @ M_Malcom: Thank you for commenting! True, Platinum Angel has a similar effect, but if your life total reaches zero (and that's easy to do with Madcap Experiment 's effect alone) and it gets removed, you lose on the spot. A killed Platinum Emperion does not necessarily kill you and it never costs you any life to put it into play by experiment. It is also faster clock if you can keep the opponents creatures under control. Found some new card ideas today. Check out Plague of Vermin ! Pricey, but we know where to find . Platinum Emperion could also be a good combo with Carnival of Souls rather than worrying about the Soulcats. Or Phyrexian Unlife if you're on the combo turn or have a Glacial Chasm out. Children of Korlis could be a safety net in any version, but imagine this card with The Carousel in motion and Carnival of Souls out! Wow. Don't know how I didn't think of this for the Ghave, Lord of Leaches deck. Plunge into Darkness ? Janky. probably a way to make the mill work to our advantage for getting combo pieces. Soul Burn for the version with . 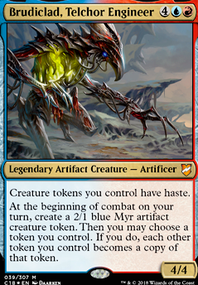 Is this usable if your commander doesn't have red in his colours? A lot of these are in the $10 range but might as well suggest em' anyways. 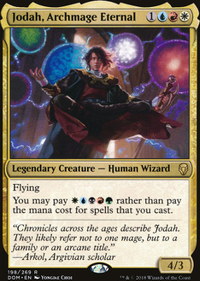 Eldrich Evolution decks are usually good at getting out a turn 2 Magus of the Moon / Eidolon of Rhetoric off a mana dork for the occasional free win. Don't forget also that Birthing Pod is still legal in that format and gives you a less weak to Force of Will alternative to EE that also works as an engine if the rest of your deck is derpy green creatures. 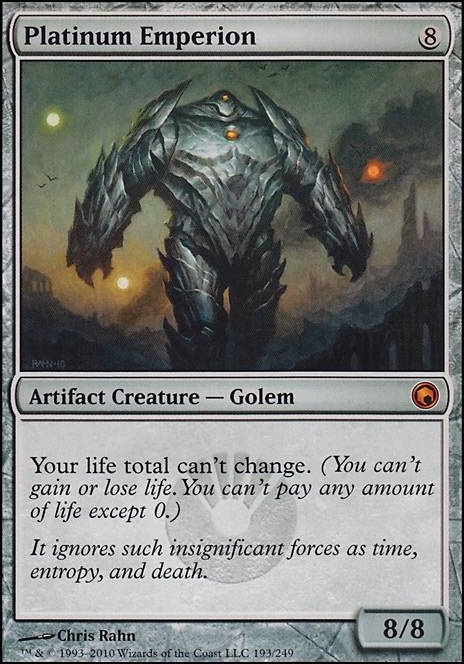 The drawback being your payoff would have to be in the 8 cmc range which isn't the worst considering that includes Griselbrand , Craterhoof Behemoth , Tidespout Tyrant , Archetype of Endurance , Ashen Rider and Platinum Emperion (literally all the same payoffs as the format's primary reanimation deck -elesh norn). 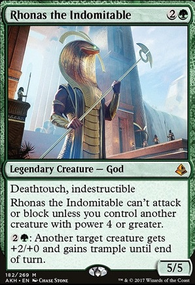 Chancellor of the Tangle is a green mana source that pitches to Allosaurus Rider and can even be a payoff in a pinch and Chancellor of the Annex gives you a potential to go off turn 1 with the pregame trigger for backup and also can be a payoff sometimes. 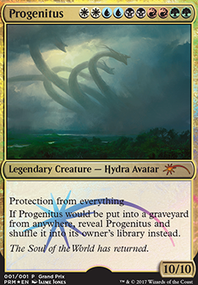 Insist cantrips, pitches to rider and can even punish opponents who plan to "counter the payoff not the mana source". I might add more suggestions if I think about them. 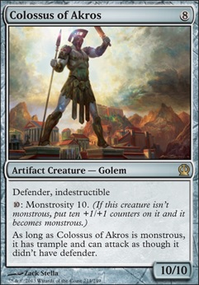 Lodestone Golem could be worth playing in the deck. With all the 0 mana artifacts, Whir of Invention seems like it has a place here; it can search for Master Transmuter and you could fit in an Ensnaring Bridge to fetch out when you need it. Have you ever considered Platinum Emperion? It's great when you're behind and about to die and you can give it shroud with Lightning Greaves to make yourself nearly unkillable. I'd say it's better than Filigree Angel in most cases since it's harder to remove with burn. Spire of Industry is probably better than City of Brass most of the time, by the way.